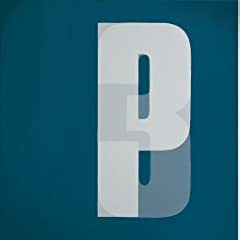 Portishead releases its highly anticipated third album tomorrow, appropriately titled Third, but I am most excited about the new Bearsuit album, Oh:lo (the band's Cat Spectacular! album is one of my favorite albums of all time). Among the week's other music releases, I can strongly recommend Constantines' Kensington Heights, David Karsten Daniels' Fear of Flying, Hayden's In Field & Town, Santogold's self-titled album, and Nat Baldwin's Most Valuable Player. Robert Forster's The Evangelist deserves a special mention, being the Go-Betweens member's fifth solo effort (and the first since the death of Go-Betweens partner Grant McLellan). Among the week's reissues, the remastered edition of Steve Earle's Copperhead Road has me the most excited, with an entire disc of bonus material. Another notable reissue is the Black Keys' The Big Come Up album, available on both pink and yellow vinyl. What are you picking up this week? Are there any releases worth adding to the list? New Found Glory: Tip of the Iceberg/Takin' It Ova!